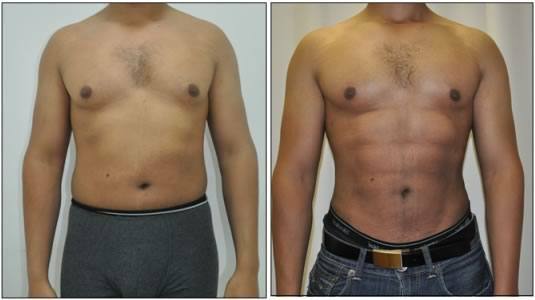 Abdominal etching is a plastic surgery procedure that produces a masculine 6 packs abdomen. The surgery is the state of the art liposculpture procedure. The objective is to transform a lean round or oval torso and abdomen into a v-shaped one. It is an easy and convenient way for athletes and bodybuilders to achieve that six-pack, muscular look. This procedure is usually performed as a day only and under twilight sedation. Some patients prefer to have it done under full general anaesthesia. Actual before/after photos from Sydney Plastic Surgery Patients.